Dr. Don Pickrell is the U.S. DOT Volpe Center's chief economist, as well as a lecturer in the department of civil engineering at MIT. He received his undergraduate degree in economics and mathematics from the University of California at San Diego and masters and PhD degrees in urban planning from UCLA. Prior to joining the Department of Transportation, Dr. Pickrell taught economics, transportation planning, and government regulation at Harvard University. 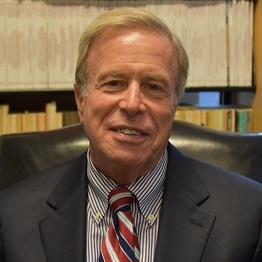 He has authored more than 100 published papers and research reports on various topics in transportation planning and policy, including transportation pricing, transit planning and finance, airline marketing and competition, travel demand forecasting, infrastructure investment and finance, and the relationships of travel behavior to land use, urban air quality, and potential climate change.